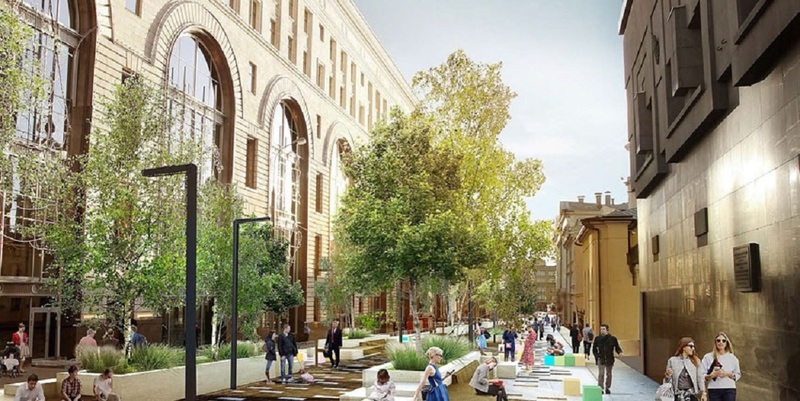 It is reported that works at Malaya and Bolshaya Bronnaya Streets, as well as reconstruction of the Triumphal Square will be completed by the City Day (the first Saturday of September). In total, 40 streets, alleys and avenues will undergo reconstruction within My Street project in 2015. Most of them are located in the city center. 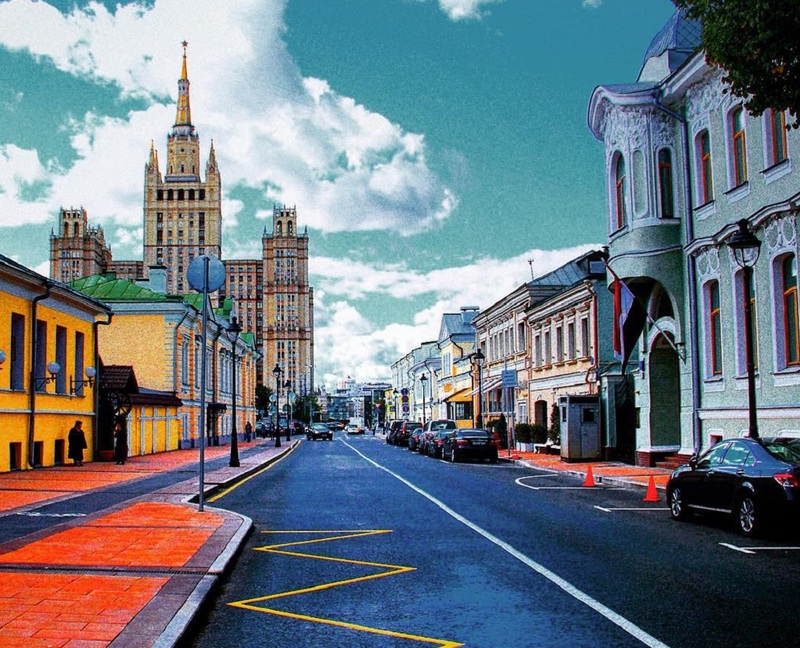 After the reconstruction, the pedestrian zone at Malaya Bronnaya Street will be significantly expanded. There will appear a bike path, the number of parking spaces will be reduced, and vehicular traffic will be one-sided. Walking will also become more convenient at Bolshaya Bronnaya Street. The pedestrian zone is expanded twice there. 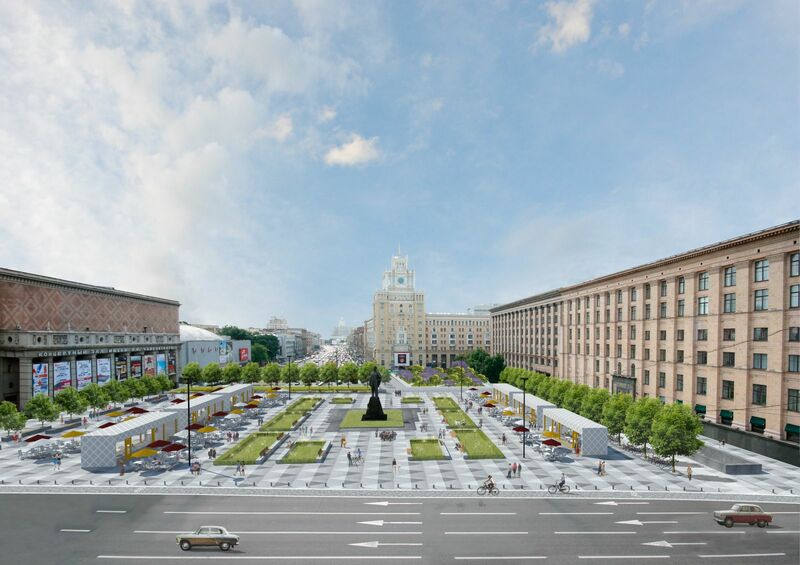 During the reconstruction, the Triumphal Square will also change much – there will appear a big pedestrian area and vehicle traffic will be forbidden. Open pavilions with children playgrounds, information kiosks, cafes and shops will appear there. The reconstruction plan involves large sale landscape works – the area will get a lawn, lindens and a lilac garden. In total, there will be planted more than 40 trees and shrubs. There will be a parking for 14 cars and 14 parking spaces for bicycles. Presently workers install cable communications – all the wires, cable lines and light fixtures will be removed under the ground. Lights, benches and new trees will appear at the reconstructed areas in late August. All works will be fully completed by the City Day.